This little handmade tile is a fraction of the cost and a fraction of the size of the larger heron tiles on this website. This tiny tile measures a mere 2"x4". 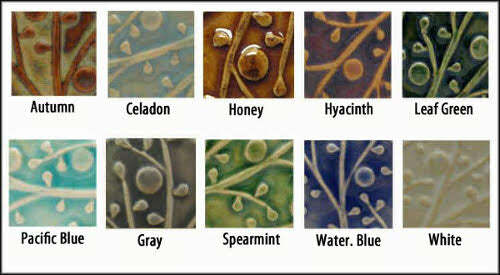 Price listed is for a single 2"x4" heron tile, facing to the left, in choice of one single glaze. The photo of this tile next to the 4"x8" version of this design is shown for reference only. This design is available in the 3"x6" size, as well. All the different sizes of herons can also be ordered in sets of two mirror image herons, facing each other.